Please refer to the IFABC membership eligibility criteria to determine whether you can apply for full IFABC membership.Otherwise you may apply for an Affiliate, Associate or Reciprocity membership. All membership applications and enquiries should be made to the IFABC Secretariat. Have a tripartite membership of advertisers, advertising/media agencies and media owners. Operate on the principles of ‘not-for-profit’. Use standardised terms and definitions for reporting. Issue circulation and media data regularly. Encourage active participation across the tripartite membership. 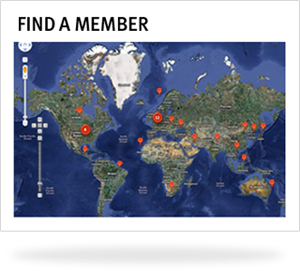 You don't have to be an ABC to participate in the IFABC community.The IFABC offers many membership options for individuals and organisations who share the same ideals. You should also consult Membership Eligibility if you are applying for full membership. Full Members are those who comply with the basic rules and procedures as required by the IFABC Constitution and By-laws. These members have full voting rights and use of the IFABC logo and strapline. Fees to be as per constitution. Affiliate Members do not fully comply with the IFABC Constitution and By-laws but are sufficiently compliant to be welcomed into the body with full participation but with no voting rights. They may not use the IFABC logo or strapline without the expressed permission of the IFABC Executive. Fees to be as decided by the General Assembly. Associate Members are companies closely aligned to the industries IFABC serve e.g. paper suppliers, computer brands, printing machinery & inks, training institutions, internet hosts, global advertising agencies, global advertisers, global media HQ, media analysis & strategic companies, etc. Their attendance at open events are welcome, though they have no vioting rights and may not use the IFABC logo or strapline without the expressed permission of the IFABC Executive. Other media industry bodies with similar interests are welcomed to be Reciprocity Members. There is a mutual agreement to waive membership fees and there is free mutual access to international information and data for internal information and use. IFABC co-operates closely on the development and promotion of transparent media measurement. Reciprocity Members receive no voting rights and may not use the IFABC logo or strapline without the expressed permission of the IFABC Executive. Attendance at open events will be welcomed at special rates.